Memorial Day weekend is generally considered the official kickoff to summer. And as a three-day weekend, it’s also a big sales event. 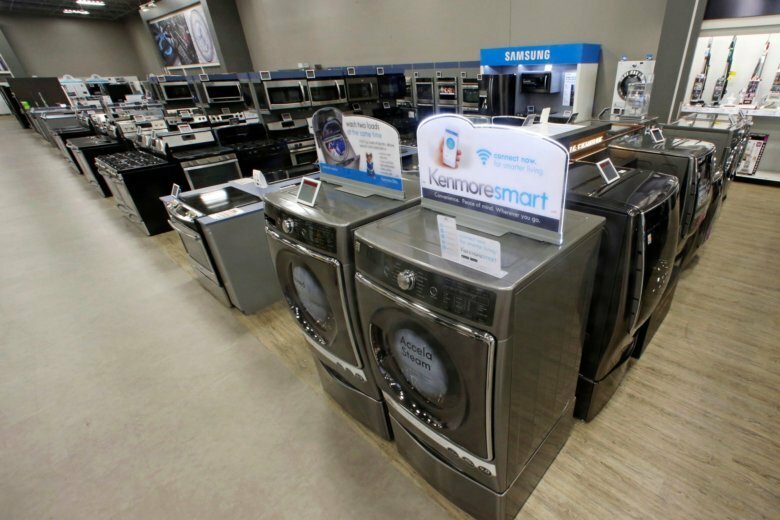 Appliance stores, furniture stores, mattress stores and clothing stores are all big Memorial Day players and are offering savings on their wares. To help you quickly shop the sales, so you can get back to the barbecue, read on for the best Memorial Day sales. Best Buy. The Memorial Day sale, which ends June 6, is heavy on appliance deals. Microwaves, washers, dryers, refrigerators and more are marked down up to 50 percent off. Top deals include $260 off a Whirlpool side-by-side fridge and $239 off a Samsung gas convection range. Crate & Barrel. Get up to 40 percent off outdoor furniture and 30 percent off outdoor dinnerware now through Memorial Day weekend. Plus, May 25 to May 28, you can get 15 percent off full-price items with promo code SAVE15. Dell. While Memorial Day has a reputation for mattress and appliance deals, it’s also a hot time to shop tech. Dell is launching daily discounts on specific PCs, TVs, monitors and electronics through June 4. Highlights include $50 off the Nest 3rd Generation Thermostat, $100 off Dell Inspiron Small Desktops and $200 off Alienware 25 Gaming Monitors. Click through the Dell homepage to the Memorial Day sale to see the dates and times these deals (and others) launch. Gap. Gap’s Summer Kickoff sale is already live and continues through May 26 at 11:59 p.m. EST. It features up to 50 percent off all online merchandise. Use promo code PARTY to get another 20 percent off, plus free shipping. Home Depot. The home-goods giant will offer up to 40 percent off appliances past Memorial Day weekend until June 6. Marked-down items include fridges, gas ranges, dishwashers, microwaves, washers and dryers. Lowe’s. Until June 6, shop the Lowe’s Memorial Day sale to get up to 40 percent off appliances and up to 30 percent off patio furniture. Macy’s. Promo code MEMDAY gets you up to an extra 20 percent off select regular-priced and sale items through May 28. Your exact discount will be 10 percent off, 15 percent off or 20 percent off, depending on the department. Mattress Firm. In addition to offering up to 50 percent off name-brand mattresses, Mattress Firm is offering free adjustable bases (up to a $699 value while supplies last) with all mattress purchases of more than $599 during Memorial Day weekend. Overstock.com. The Ovestock.com Memorial Day sale continues through May 28 and offers savings on indoor and outdoor furniture and decor. The best deals include 20 percent off garden and patio furniture, umbrellas and hammocks. They also include 20 percent off select area rugs and 15 percent off select mattresses and memory foam. Sears. The Sears Memorial Day event is live and runs through the long weekend. Get up to 40 percent off appliances, including refrigerators, stoves, dishwashers and more. If you buy a Kenmore Elite washer-dryer pair, you’ll get 50 percent off on the set. Plus, get up to 60 percent off select mattress brands, including Stearns & Foster, Beautyrest, Tempur-Pedic and more. Sears Outlet. Sears Outlet stores sell returned, refurbished and slightly damaged appliances at significant discounts. On top of those already low prices, get an additional 35 percent to 50 percent off now through Memorial Day weekend. Wayfair. The Memorial Day Clearance sale, which runs through May 28, features up to 50 percent off grills and fire pits, up to 65 percent off living room furniture and up to 70 percent off bedding and mattresses. World Market. World Market Explorer members save 20 percent and get free shipping on online orders of more than $65 with code FLAGWME. Not a member? You can still get 15 percent off and free shipping with code STARS15.